Art | Phil – Refuelled! 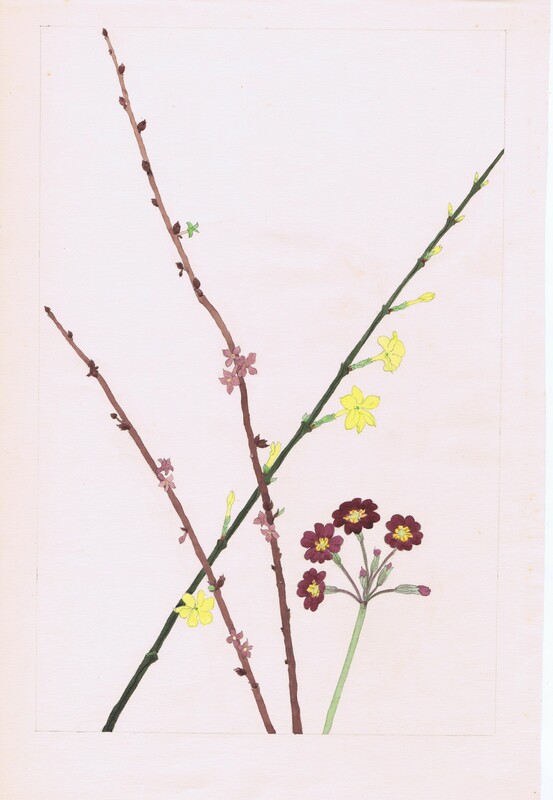 In response to the prompt here, I’m posting a picture that is very special to me: a pencil drawing, coloured in with water-colours, of flowering twigs and plants. It was done by my mother. I new nothing about just how good at this sort of thing she had been, until after her death, when, clearing out some items at my parents’ home, I came across a large folder. This picture was in an inner paper folder, beautifully labelled ‘rough work.’ It would have been done at the time my mother was training as a teacher. That makes it, let’s just say, rather old. The accuracy and detail fills me with awe – and shows me how little I really knew my own mother. But I do know that she was modest, and very loving.